Throwback Thursday #6: “One God Many Names.” | The Spiritual Blog of Rev. Michael F. Copado. ← Do Fundamentalists Own Christianity? I want to start out by thanking all of you who re-tweeted, shared, or re-blogged the last posting of mine, because of you all, over 500 people read what I wrote, and hopefully went on to check out Eric Alexander’s piece, and also that you stuck around and listened to my sermon audio, “God with Skin On,” which along with today’s sermon replay was sort of my two-part “coming out” as a progressive minister. I think these talks also were responsible for giving birth to this blog as well. Today’s throwback talk was delivered July 6th of last year at Unity Church of Flint, Michigan. A lot was happening around the Independence Day celebration. Most of it painful for we Christians of a “progressive” mindset. The infamous “Hobby Lobby Decision” came down, where a closely divided Supreme Court ruled that corporations with religious owners cannot be required to pay for insurance coverage of contraception. Then to add insult to injustice, in the wake of it Pastor Rick Warren of Saddleback Church called for other Conservative church leaders to petition for the right to deny the hiring of people whose lifestyles or religious views they don’t agree with. And on top of all that, as with the December “War on Christmas/Christianity” nonsense, that annual “America was founded as a Christian Nation” right wing media/meme blitz was in full swing. We were hearing and seeing all manner of the Right’s attempts to re-write the story of our founding Fathers, into the total opposite of how it was. But just when it seemed hopeless John Shore, the author of Unfair: Christians and the LGBT Question wrote a biting and, to me, inspiring “call to arms” on the website Patheos to progressive clergy to be more vocal in standing up to the Right’s hijacking of Christianity, and especially showing support to the LGBT community. That article was really the inspiration for the sermon. 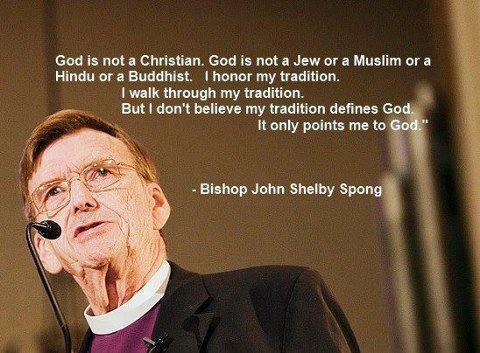 In it I join my fellow Progressive Christian ministers and theologians such as Bishop John Shelby Spong, Marcus Borg and others reclaiming Christianity from those evangelicals on the right who have perverted and twisted God, the message of Jesus, and our relationship with people of other faiths into something far away from it’s intended purpose. 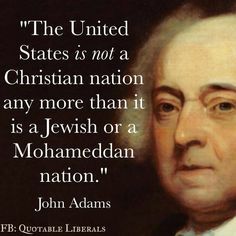 I begin with an analysis of the first amendment’s statement on the separation of church and state, and show how Jefferson and Madison’s original version was much sterner, and clearly stated that there shall be no state relig ion, and that no one’s civil rights based on the religious views of another shall be infringed upon. 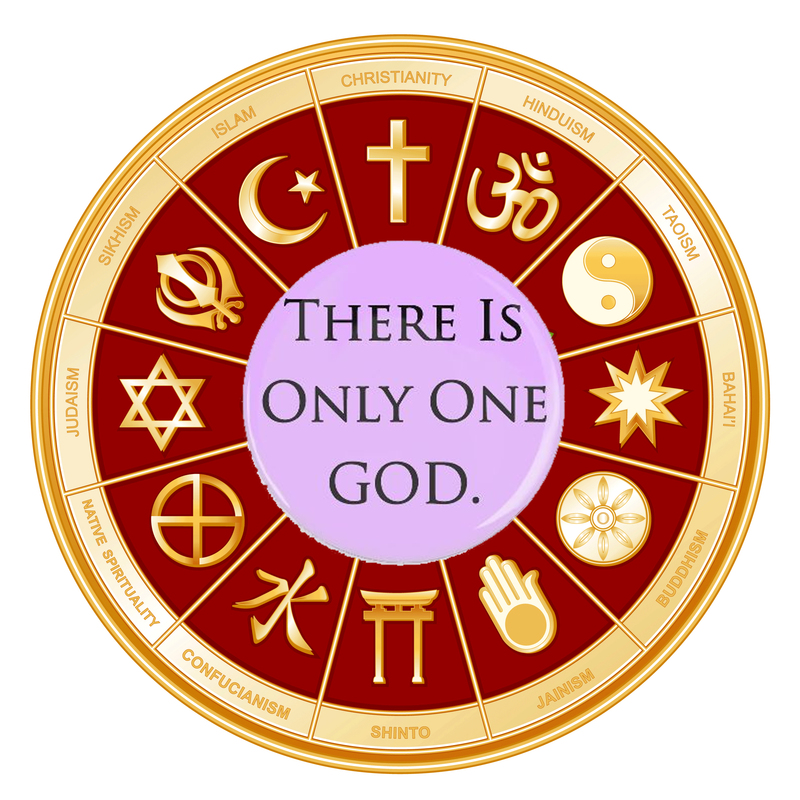 I share how I believe that regardless of the name used that all religions are the spokes of a great wheel with God in the center, and that usually do to our perspective, we can’t usually see that all the other spokes are also pointing to the same source. 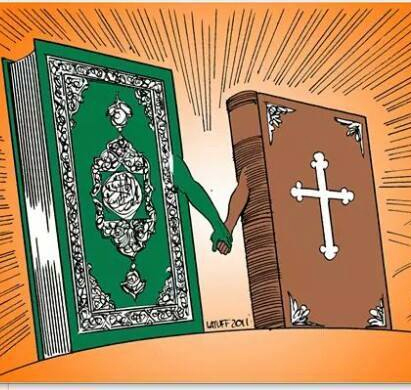 Finally I share the lyrics to Daniel Namood’s brilliant song “One Power,” and conclude with a reading of Bo Lozoff’s “An Impatient Letter From God,” a thought provoking “memo” from God on the silliness of Religious rivalries and a reminder that we are all ONE. Since I can’t sing, I thought I’d leave you with Daniel’s beautiful song, from the CD of the same name. Blessings! This entry was posted in Grown Up God, One God Many Names, Sermon audios, Throwback Thursdays and tagged 4th of July, Allah, An Impatient Letter from God, Bo Lozoff, Daniel Namood, Elohim, First Amendment, Freedom, God, Hobby Lobby;, John Shelby Spong, LGBT, Many Names of God, Marriage Equality, One God Many Names, One Power, Religious Rivalries, Rick Warren, Saddleback Church, Separation of Church and State, Supreme Court, Thomas Jefferson. Bookmark the permalink.